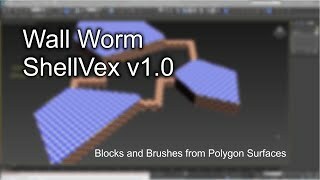 ShellVex is a scripted geometry plugin for Autodesk® 3ds Max® that allows you to create convex geometry blocks from the polygons (or tris) of other objects in the scene. This plugin is perfect for scenarios where you need to create convex geometry to seal areas around complex models or layout. Adds support for 3ds Max 2019 and optimized support for 2018+.